Every spring the Demarest Garden Club has their only fundraiser which provides the money to support the Club’s yearly charitable contributions to the town. These activities include installing and maintaining the plantings at the Demarest Railroad Station, the Davies Arboretum and Wildlife Preserve, and the Demarest Centennial Sundial, as well as making floral tray favors for Meals on Wheels and providing the Demarest Public Library Christmas Wreath. 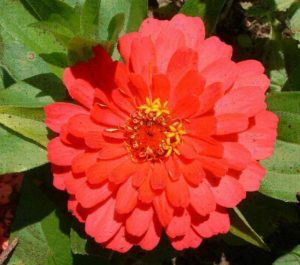 This popular sale offers a wide variety of high-quality nursery-grown plants including a large variety of annuals and perennials, numerous hanging baskets, as well as herbs and vegetables, at good prices. Additionally, there are member-propagated specimen perennials, ground covers, trees, and shrubs available which offer the novice or experienced gardener an interesting choice of fresh and innovative plant materials. Pre-orders insure you get the plants and colors you want. Pre-order forms are widely available at club meetings, from club members, in Demarest and Closter libraries, by clicking on the box below or by sending a stamped, self-addressed long envelope to Demarest Garden Club Plant Sale, c/o Borough Hall, 118 Serpentine Road, Demarest, NJ 07627. Pre-orders are set aside for speedy pickup or delivery during sale hours, when limited collections of additional nursery-grown plants and member-propagated perennials, ground covers, trees, and shrubs can also be purchased. The order form is a printable “PDF” file. If your computer does not have Adobe Reader, click here for a free download so you can open PDF files.